Grace, Love, and Light. Although these three nouns come with great hope and promise, they can be hard to believe. I don’t think it is for a lack of trying to believe what has been taught about Grace, Love, and Light...we can’t just drop that knowledge into our brains and expect that we will “get” it. Experience is the teacher that informs us of their intrinsic truth. Experiencing Grace, Love, and Light provides a knowing that deepens and gives the right structure for honest belief. Problematically, experiencing these nouns as a verb, as God-in-motion, can’t be mimicked, produced, or shopped. But thankfully, they show up time and again over a lifespan—yes, God’s Grace, Love, and Light are continually looking for a place to express themselves within, through, and among us. 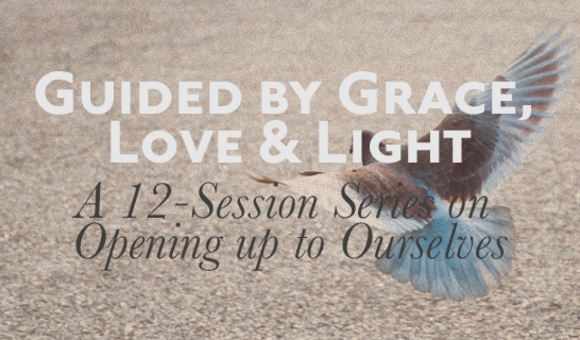 It is the hope of TWOTP that the Grace, Love, and Light discussed in this film series (with Brennan Manning, Nadia Bolz-Weber, Sara Bessey, Paul Young and others) and curriculum will serve as a guide for you, speak into whatever you are experiencing in life. Grace, Love, and Light are present and active in the world and available for personal and communal transformation. I hope you have many discoveries that are healing and propel you forward. It may be worth your time to create a sacred time, space, or group to do and receive this work. You could use this study for personal reflection or in a small group setting. You can also use the films as a lectio divina practice, listening for a word or phrase that strikes you, and using that word or phrase in your prayer/ meditation life.